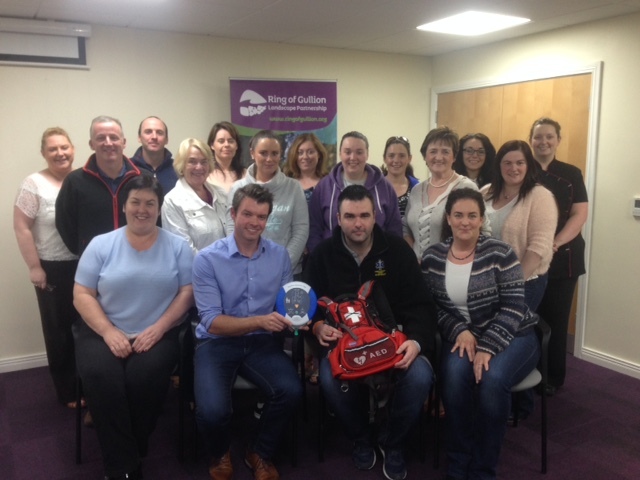 HeartSine’s Global Product Manager, Peter O’Hare (holding the AED), with members of the Crossmaglen First Responders. Crossmaglen First Responders include 15 registered volunteers who have been certified in basic life support and Automated External Defibrillator (AED) training, and will be dispatched by the Northern Ireland Ambulance Service to attend to medical emergencies in their extended community of approximately 20,000. Three volunteers each day and each night will provide first responder services beginning in October. Having an AED on hand can mean the difference between life and death for Sudden Cardiac Arrest (SCA) victims as SCA is responsible for 100,000 deaths annually in the UK and Ireland.